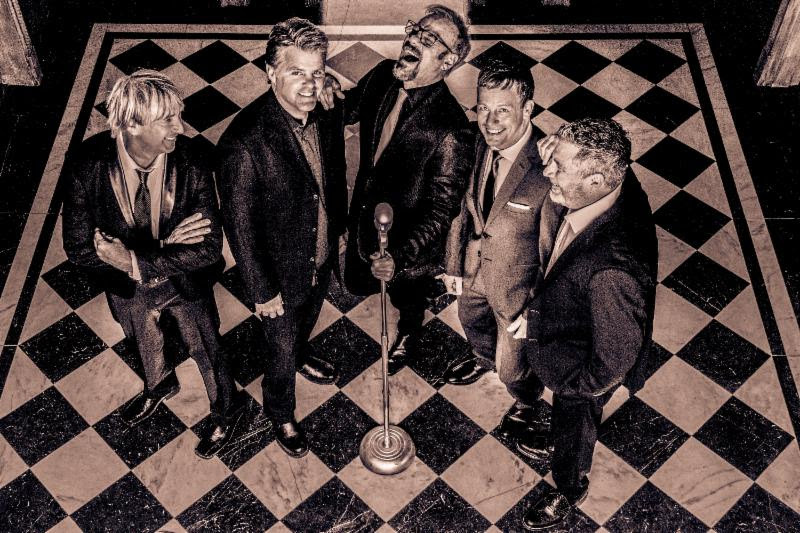 ANNOUNCE "THE NOT SO SILENT NIGHT TOUR"
The stars are shining bright this holiday season as country music hitmakers Phil Vassar and Lonestar announce "The Not So Silent Night Tour." To celebrate, Vassar and Lonestar are releasing their Christmas single, "Not So Silent Night," on Nov. 2 with a music video to follow. In true holiday spirit, the fan-favorite acts will support The Salvation Army with their tour and single release. For dates and tickets, visit PhilVassar.com and LonestarNow.com. "After years of being friends with Phil and being a fan of his talent as well, we are truly excited to go on this Christmas tour and share the stage with him," expressed Lonestar. "Fans should get ready for a lot of laughs, great music and of course a 'Not So Silent Night!'" Lonestar, comprised of Richie McDonald, Michael Britt, Keech Rainwater and Dean Sams, released their first Christmas album, This Christmas Time, in 2000. The ACM and CMA award-winning group recorded 11 songs for the Dan Huff produced project, which featured new material such as the title track co-written by Sams and the touching "Reason For The Season" co-written by McDonald. Vassar, who has headlined Christmas tours since 2009, released his first Christmas album, Noel, in 2011. The ten-track collection, co-produced by Vassar and Dane Bryan, showcases four of the ACM award-winning and ASCAP Songwriter of the Year's original songs, including the humorous "Santa's Gone Hollywood" and "Big Ol' Texas Christmas," a duet with Asleep at the Wheel's Ray Benson. Last Christmas season, he and Kellie Pickler headlined a sold-out holiday tour. Dec. 20 Westbury Theater - Westbury, N.Y.
Country music hitmaker Phil Vassar is a piano-pounding powerhouse on stage who taps into his audiences via social media for song requests throughout his more than 135 shows a year. Phil's reign of signature songs include 10 No. 1 singles and 26 Top 40 hits, including "Carlene," "Just Another Day in Paradise," "Six-Pack Summer," "When I Love You"; and many more. Vassar was racking up hits on the radio long before he even began his own recording career that has seen the release of six albums, two ASCAP Songwriter of the Year trophies, ACM's Top New Male Vocalist and sold-out shows across the country. Vassar's songwriting career blossomed in the mid-'90s when he landed a publishing contract with EMI and penned hits for Collin Raye ("Little Red Rodeo"), Alan Jackson ("Right on the Money"), Tim McGraw ("For a Little While"), Jo Dee Messina ("Bye Bye," "Alright"), and Blackhawk ("Postmarked Birmingham"). He signed a record deal of his own with Arista in 1998 and was named ASCAP's Country Songwriter of the Year in 1999. Vassar continues to churn out incisive, soulful lyrics and infectious melodies that capture the heart and soul in the unique and special way that only he can. Known for merging their country roots with strong melodies and rich vocals, Lonestar--Richie McDonald (lead vocals), Michael Britt (lead guitar & backing vocals), Keech Rainwater (drums) and Dean Sams (keyboards & backing vocals)--has amassed RIAA-certified sales in excess of ten million album units since their national launch in 1995, and achieved ten #1 country hits including "No News," "Come Crying To Me," and their crossover smash "Amazed" (which was also #1 on the Billboard Hot 100, the first record since 1983's "Islands in the Stream" to top both charts). The band's awards include ACM Single of The Year for "Amazed" (the song also won the Song of the Year award), and CMA Vocal Group of the Year, as well as a 2017 People's Choice Award nomination for best country group. With over 100 dates worldwide per year, they are celebrating over 25 years together. Lonestar's latest album, Never Enders, features ten new original songs that bring the band's trademark sound into the contemporary arena. Check out the music video for the title track, "Never Enders," here.